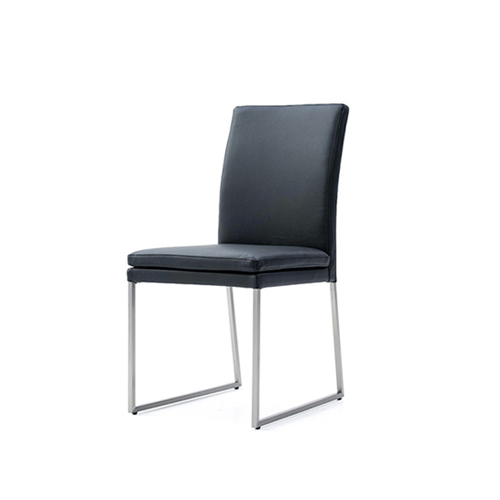 The Daniella is a contemporary dining chair with simple charm. The clean U-shape frame, done in a brushed steel finish, is perfect for any modern dining room. The Daniella can be ordered with arms. 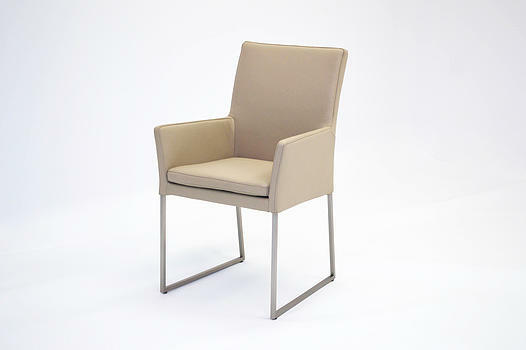 It is upholstered in genuine leather and is available in three colours: Black, Grey and Light Mocha. *This product is only available at our Burlington location.